Black Kids Do Travel was created a year ago by Karen Akpan, travel writer at The Mom Trotter and her 5 year old Aiden Akpan, and has grown into such an amazing community of traveling families. 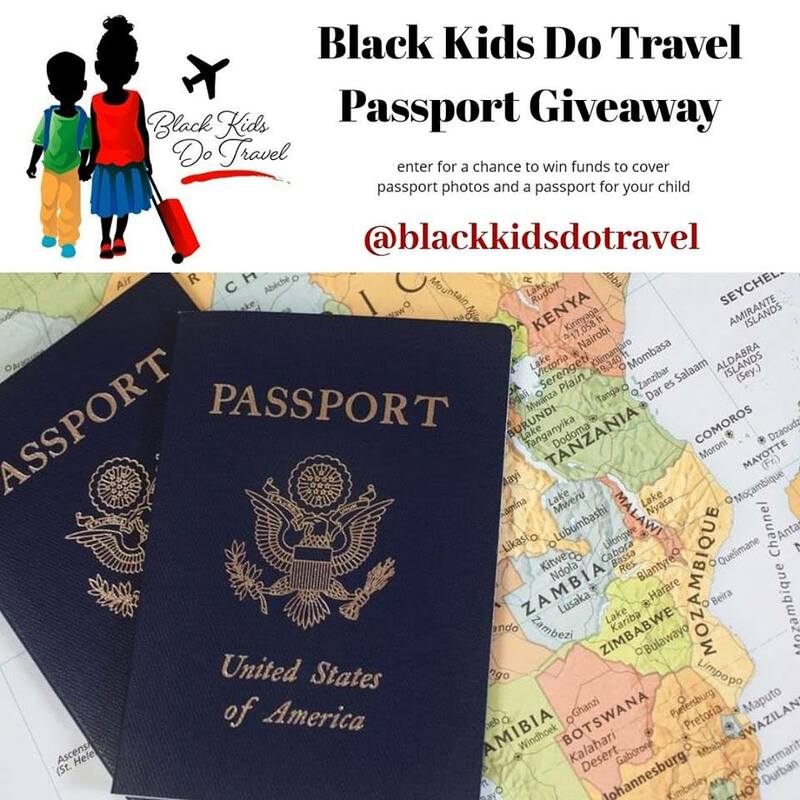 From reading posts in the Black Kids Do Travel Facebook Community Group, surveys and getting to know more about our members, we realized that not having a passport is what was stopping some families from traveling. In order to make the change, “one family at a time”, we decided to offer to pay for passport photos and the passport fees for one lucky child. Our goal eventually is to be able to receive donations and to be able to offer more than just one passport. We want to be able to offer passports to many more children as well as take children and families on trips to experience things that they wouldn’t be able to on their own. As you know, the goal of Black Kids Do Travel is to bridge the travel gap by bringing about diversity in travel. Black Kids “DO” Travel, they will continue to travel and they will grow up to raise travelers of their own. Travel although a fun an enjoyable experience is a lot more than just that. Travel gives children the opportunity to see that there is so much more in the world than what they see around them every day. It gives them a chance to experience new cultures, interact with people who look different from them, and most of all it gives children the opportunity to be open minded and be more accepting of other people and their cultures around the world. Please see instructions below to enter the giveaway. PS: To qualify, you must also be a member of our Black Kids Do Travel Facebook Community Group. Don’t forget to share this giveaways with family and friends who may benefit from this. If you have any questions, please don’t hesitate to email us at hello@blackkidsdotravel.com. If you are reading this post and would love to sponsor a passport for a lucky child, please reach out to us also at the email previously mentioned.